Microsoft Story Labs — formerly Microsoft Stories — takes the “low and slow” approach to content marketing. They don’t publish frequently, but when they do they make up for lost time. Their multimedia stories on innovation are every bit as researched and well written as anything you’d find on Wired or Fast Company. Take Microsoft’s most recent piece on business intelligence and data journalism. It’s a compelling longread filled with historical examples, insights from a leading expert and, yes, plenty of data viz. The whole thing ends with five online courses Microsoft co-created with the aforementioned expert (Albert Cairo, the visualization program director at the University of Miami’s Center for Computational Science). This kind of exhaustive effort isn’t even an outlier for Microsoft, as they’ve previously published everything from virtual tours to video-heavy reports. If the HPE name wasn’t on the site, you’d never suspect that Matter is the flagship content property of a company that turns one next week. The online magazine has an incredible level of polish. This is the result of the Hewlett Packard-spinoff collaborating with an outside creative partner to commission articles and videos from Quartz, Fast Company, The Atlantic and well-known documentary filmmakers. Each month the enterprise software firm publishes an “issue” featuring multiple POVs on a single topic. Seasonality plays a big role. Case in point: this month’s issue is the Wired World of Politics and last month’s issue was The Sports Tech Revolution. While many brands choose to work with content clearinghouses like Skyword and Contently, HPE is one of the few (if only) we’ve seen that’s tapped several publishers in order to create a journalistic endeavor. It reads like it, too. While Microsoft chose a relatively narrow focus and HPE went with a structure that allows for a multitude of perspectives, CDW went with something in-between. The e-commerce giant created a suite of niche blogs serving the disparate groups who purchase tech products from them. The two-pronged EdTech Magazine serves both K-12 and higher education professionals. BizTech Magazine is for those working in the enterprise space. And, finally, StateTech Magazine and FedTech Magazine are for government employees. Each property is staffed by a small editorial team, some senior CDW employees and a network of freelancers, some with serious bonafides (The New York Times, The Wall Street Journal, Time, etc.). There’s a general newsy vibe to coverage across the board, from a thoughtful piece on competency-based learning to a timely article on how to prevent attacks like the one Dyn suffered last week. There’s even a story on how an early IBM mainframe model gave NASA and the Air Force superior computing power during the Cold War. CDW didn’t just decide to cover niche topics, they decided to do it well. While high-quality writing and reporting used to be the exclusive output of companies like Intel and GE, more and more tech companies are elevating their content marketing. Soon, we’ll all be calling these and other great tech brands first-class content creators as well. Many finserv brands struggle with content marketing. Here are three who don't. According to the Content Marketing Institute, 78% of marketers in the financial services space are producing content marketing but only 25% rate themselves as effective at it. If you count yourself in that minority, don’t despair. Instead, look to educate or entertain your audience as these finserv brands have. The Our Thinking section of Goldman Sachs’ website is full of insights, including tons of podcasts and videos (the former showcases internal experts while the latter features a mix of celebrities and dignitaries). While it’s all very well produced, their infographics are what really caught my eye. Rich in data and interactivity, these deep dives into consumers (millennials) and verticals (automotive) brought hundreds of pages of research to life. In an interview with Digiday, Goldman Sachs’ Kaydee Bridges admits this highly visualized approach made much more sense than producing a yet another white paper. The smartest thing about Goldman’s strategy, however, is something you can’t even see: the infographics were coded to live off-site as well, allowing them to easily serve as native ads on The New York Times, Quartz, Mashable and other news sites. Created in partnership with Business Insider and The Player’s Tribune, “A Letter To My Younger Self” isn’t what you’d expect from a native ad: it’s substantive and engrossing. Featuring the personal reflections of six star athletes — from Kobe Bryant to Pete Sampras — the Chase-sponsored series covers the lessons learned in life. In her contribution, Danish tennis pro Caroline Wozniacki admits that “Dad was right.” Tucked in between recollections of victory and defeat, Wozniacki talks about how her father preached the value of frugality and how real estate investment could allow her to provide for generations of her family. The necessity of saving is something that appears in Kobe Bryant’s letter, too. It’s a nice way to set up Chase’s products without beating readers over the head — subtlety is something that’s too often missing from native ads like these. Note: If you haven’t checked out Chase.com lately, it’s worth visiting to see how the bank has put content front and center. As far as I know, they’re the only major bank to do so. You can read more about that decision here. AmEx’s OPEN Forum — its online resource for small business owners — has long been a content marketing darling. Knowing that its primary audience is pressed for time and is often on the front line of their business, AmEx sought to port the experience to mobile devices in an attempt to make OPEN Forum content more accessible. The move was meant to provide SMBs with an app that was one part content library, one part business coach. The app, which allows SMBs to specify subject areas they want to learn more about, delivers short bursts of advice at a time of day when biz owners are most likely to see it (set using an in-app timer). Though a mobile-friendly OPEN Forum has existed since 2010, having a native app allows AmEx to take on the burden of finding the right content for SMBs vs. them having to do that themselves. So what makes these finserv examples winners? In my mind, each is the product of unconventional thinking. Goldman Sachs took a more of journalistic approach to presenting reams of data, Chase found a way to discuss finances from a very human perspective and AmEx used technology to bring greater utility to useful content (even though they didn’t have to). 45% of millennials don’t find content marketing compelling enough to share, according to a generational study conducted by Yahoo. Adding insult to injury, millennials represent 82 million of today’s content consumers and together will have $1.4T in spending power by 2020. So how can you get through to this increasingly important audience? Don’t market to millennials like they’re everyone else, even if “everyone else” happens to be other millennials. Millennials appreciate it when marketers take the time to get to know them. The good news: you don’t have to know the intimate details of their lives. Simply creating content acknowledging millennials’ age, location, culture or interests would elicit a response from just over 50% of those NewsCred surveyed. Usefulness is a big thing with millennials. It’s a generation known for watching large amounts of YouTube videos in the pursuit of learning new things. Play into that inquisitiveness by showing them how to do something they didn’t know how to do before. In the NewsCred study, 31% admitted they’re more likely to buy from those who teach them. Because many millennials are using their mobile devices, be sure to create content (videos, infographics, etc.) that makes it easy for them to learn. The number one requested quality of content in Yahoo’s survey was brevity, so be mindful of that. While humor is subjective — and it’s not always appropriate for every brand — the Yahoo study declares comedy as the most watched genre millennials stream online. A whopping 70% said they’d share content that made them laugh, which is very closely aligned with the emotional response we touched on above. Another 30% told NewsCred they refuse to look at content that doesn’t entertain them. If your product or service lacks a cool factor, a lighthearted approach could get millennials to take a second (or perhaps even a first) look at your content. The newest content management system available to brands comes with something no other service offers: a built-in audience. Several months ago, I wrote about how Medium is a great proving ground for marketers. Brands can quickly publish different types of content and see what Medium’s 25M monthly readers think of it. For those who prefer to test and learn like I do, the platform and its audience has a lot of value. This is especially true with the launch of Medium for Publishers, which allows those creating content at scale to use Medium to host their blog — with a unique url and everything. Instead of publishing into the void, brands can count on millions of engaged readers potentially seeing their content. Medium founder Ev Williams recently told Wired that “30% of all pageviews are driven by Medium itself.” This is not insignificant, especially for brands launching a blog for the first time. An immediately available audience isn’t the only advantage though. To share a recent anecdote from my professional life, until recently I was working with a global B2C brand on a new content property. We began the project in December and explored several web design directions, all sleek and mobile friendly. Corporate bureaucracy, however, slowed down the decision making and after a three-month period of stasis, my client was instructed by her leadership team to have the blog live in two weeks. My small creative team lost the contract because we couldn’t finish the design and code the site that quickly. If Medium for Publishers had been an option at the time, readying a blog in a couple of weeks wouldn’t have been that daunting of a task. With the infrastructure already built — and time-tested — all that’s really required to stand up a new blog is to have a url and a graphic header for the top of the home page. Those that opt to go with Medium would save money (no web development or hosting costs) and could save frustration (setting up an article for publication is so much easier in Medium than it is in WordPress). 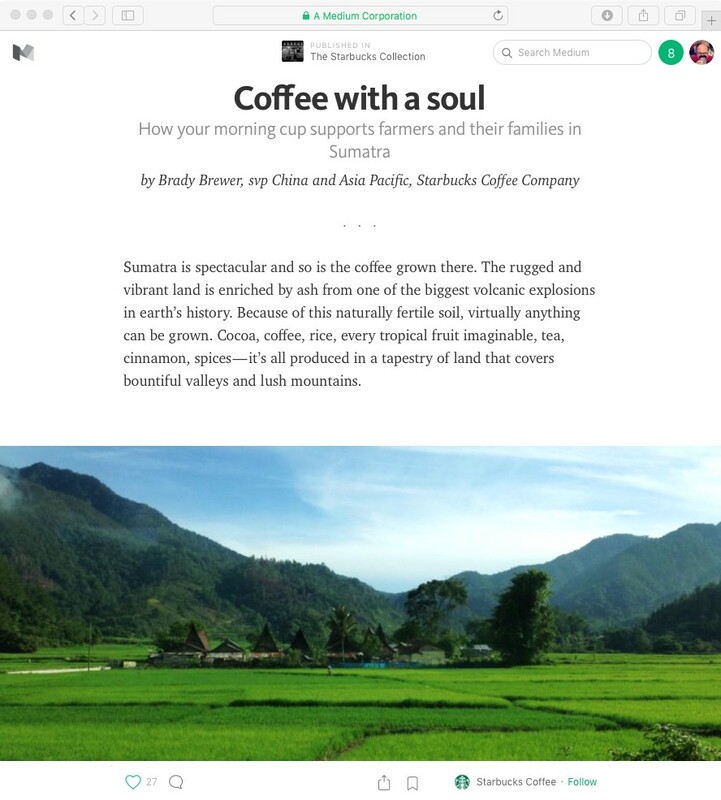 For those looking to monetize their content, Medium also offers two revenue sharing programs. While most brands won’t want promoted posts placed on their blogs (even if they are from Nest, Bose and Intel), I could see some brands exploring the paid memberships option. 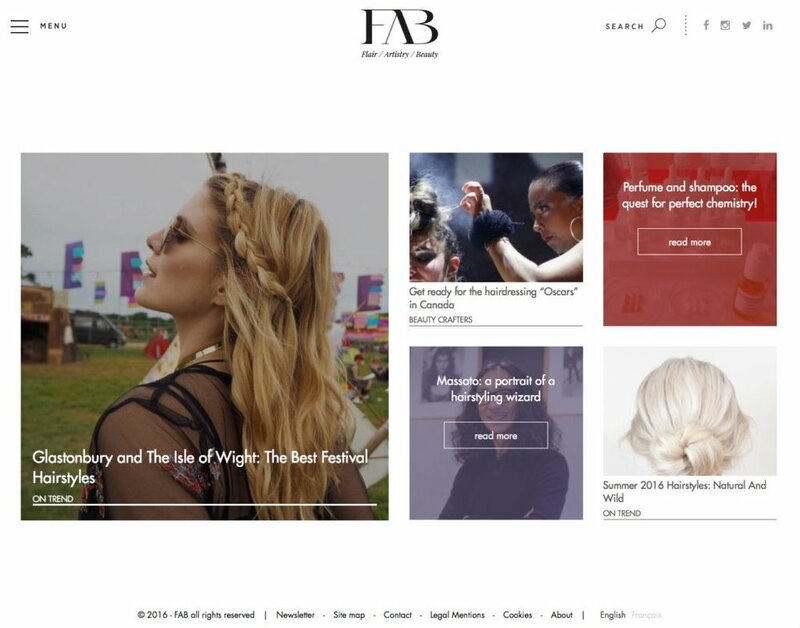 For a fee, brands can offer access to exclusive content along with other perks. While not appropriate for everyone, brands with content-hungry audiences — Red Bull, for instance — might want to experiment with some paid tier of “premium” content, much like Slate and The New York Times have. So this begs the question, “Should the Red Bulls and Krafts of the world migrate their vast content library to Medium?” Probably not. But I think Medium For Publishers is a great option for those brands who are looking to launch their first-ever blog or even a secondary property (when their brand is big enough to have multiple blogs that speak to distinctly different audiences). While I’m not aware of any brands announcing their intentions to utilize Medium’s CMS, several publishers have. Grantland‘s Bill Simmons is using Medium to host his new site The Ringer, and both Money and Fortune have said they’ll be launching new offshoots via Medium. I’m certainly going to consider it the next time I get asked to deliver something that’s beautiful, reliable and fast. Why the contempt? Well, back then banner ads were fairly limited. They could only say so much and do so much. Advertisers were limited to :15 of motion and a hard KB limit. Jump ahead several years and not a lot has changed. While targeting has gotten more sophisticated, there’s still not much opportunity for storytelling. Especially when you’re dealing with a 320×50 or 728×90 ad unit. There is, however, an ad format you should be taking a look at: Facebook Canvas. It’s the spiritual successor to Apple’s interactive iAds and could revolutionize how we create online ads. If you’re familiar with Facebook’s instant articles, Canvas ads are the brand equivalent. The fast-loading units allow for the incorporation of video, GIFs, large photos and interactive functionality. Prior to Canvas’ official launch, Facebook tested the format with Carnival Cruise Line, Gatorade, Target, Wendy’s, L’Occitane and Michael Kors. Coke, Burberry, Guinness, ASUS and Lowe’s have also embraced the format [you can see several ad examples here]. Not surprisingly, the multimedia ad units have been wildly successful in grabbing consumer attention. Digiday reports that Carnival Cruise Line saw Facebook users spend almost 3 minutes with their ad. They also stated 50% of those who opened the ad scrolled through to the end. Similarly, Wendy’s cited that 39% of ad openers viewed their Canvas ad to completion for an average engagement time of just over a minute. L’Occitane experienced a lower engagement time (34 seconds) but did share that recall was 11% higher than traditional Facebook ads. Collectively Canvas advertisers have seen 2X the clicks of regular ads. It’s not hard to interpret the above stats as a repudiation of one-dimensional marketing efforts (we’re looking at you, banner ad). Instead, it shows that brands should look for even more ways to embrace rich storytelling opportunities. With Canvas, Facebook borrowed from the playbook of content marketers. Now, as content marketers, it’s time for us to do a little borrowing of our own by producing interwoven — and interactive — experiences like these. While the death of the home page may be exaggerated, it’s certainly on life support. What’s killing it off? Social media and other content distribution platforms that drive traffic directly to individual pages. According to Columbia University journalism professor Jeff Jarvis, fewer than 10% of site visitors see a news outlet’s home page. Instead, people arrive at articles and other content via direct links — with Facebook referring a whopping 40% of traffic. Even the The New York Times has seen a 50% drop in its home page traffic. So what can you do to make your blog’s home page more appealing at a time when most visitors are bypassing it? First, let’s start by taking a look at some ways Quartz has played fast and loose with its home page over the years. When the digital news property first launched in 2012, there wasn’t a home page. Visitors merely saw the top news story at that very moment (I’m guessing the logic was this: if a story was the most read across social media, it’d be the most compelling to those visiting qz.com). Two years later, Quartz pivoted and rolled out a more home page-like design that prominently featured a version of their popular Daily Brief email. It eschewed the river of headlines that greeted visitors in 2012 and served up a shortlist of top story summaries. Near the end of 2015, Quartz drastically re-thought its home page once again. For the latest iteration, its editors went with something that felt more magazine-like, aiming for an experience you’d want to spend real time with. Emphasis was placed on typography, video, animations and data viz. The intended message: this is not your Daddy’s Forbes (or Fortune). Much like Quartz, blogging platform Medium has disrupted its space. And though its design and UX are incredibly thoughtful, one of its most novel features is how it recommends content based on social connections. Because Medium allows users to sign up with their Twitter, Facebook and Google+ accounts, it’s able to algorithmically push content that known friends and acquaintances have liked. While Medium was one of the first to apply the “influencer marketing” model to content discovery, it certainly won’t be the last. Case in point: Nuzzel is an upstart news reader that allows users to see the most commonly shared stories from their Facebook and Twitter feeds. Nuzzel has declined to state how many users it has, but its Android app alone has been downloaded over 10,000 times. Clearly, people are seeing value in having content vetted by their network. Thanks to a recent update, the Whole Foods Market website has effectively become a blog. 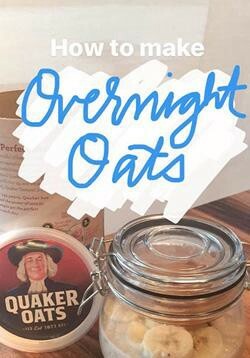 One that’s packed with recipes, photos, videos, healthy living tips and more. As you can see, it’s a visual bonanza. But here’s what you can’t see: Whole Foods is using behavioral cues and other data signals to serve up content that reflects visitors’ previous site activity. As a result, the biggest difference between old and new isn’t the freshened appearance. It’s that the grocer’s online presence is now individually relevant. At a time when there’s no need for people to visit your blog’s home page, I encourage you to give them a reason to do just that. Instead of offering a feed of your most recently published content, experiment with the ideas above. By providing blog visitors with the proper motivation to click around, it’s likely you’ll see an increase in time on site and, perhaps more importantly, return visits. Want more people to read your content? Try making it longer. If you spend any time in Google Analytics, here’s something you probably already know: 55% of visitors spend less than 15 seconds on a page. With this kind of engagement, you can see why most content marketers are doubling down on blog posts that come in under 500 words. But should they be? Content marketing guru Neil Patel thinks otherwise. 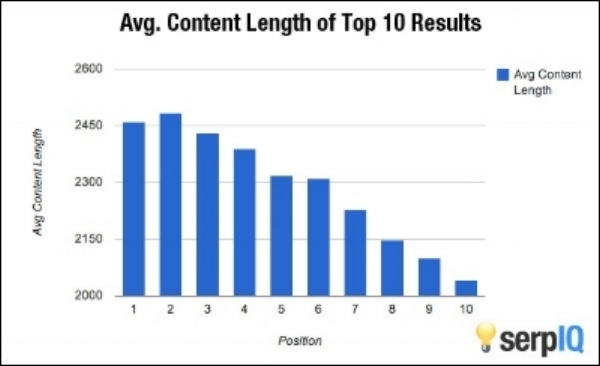 His reasoning: data on Google’s top 10 search results shows a preference for longer content. In addition to citing the above serpIQ research, Patel also references this BuzzSumo and Moz study. Patel zeroed in on the 15% of analyzed articles that were greater than 1,000 words. He noticed how longer content is consistently shared and linked more frequently than the 85% of articles under 1,000 words. As a frequent visitor to Intel’s iQ blog, I recently noticed it underwent a fairly major redesign. From its earliest days, iQ was a densely packed grid of stories. In its latest incarnation, iQ is putting more of an emphasis on select posts and, for the first time, is grouping related content into thematic “containers.” This design shift happens to reflect a change in the brand’s overall content strategy. According to Luke Kintigh, Intel’s global content and media strategist, iQ’s editorial team has scaled back its output. At its peak in 2015, iQ was publishing more than 60 original pieces every month. Kintigh says iQ now publishes three to four articles a week, many of which are over 1,000 words. Why the drastic reduction in content? Intel noticed the majority of its traffic came from a minority of its stories. In an effort to lean into what’s working, Intel is laser-focused on the type of content that’s most likely to grab reader interest — thoughtfully written with custom photography and video. It’s a smart strategy. With as much as 40% of iQ’s traffic coming from returning visitors, it’s important to make sure their needs are being served. The 12 or so pieces that iQ posts seems plentiful compared to what’s happening over on Microsoft’s Stories property. Created to the highlight the innovative work of its employees, Stories publishes no more than five in-depth pieces a month. To get each story right, Managing Editor Steve Wiens say that his staff can sometimes take up to seven months (which makes sense given the multimedia aspects). While the company’s marketing and PR efforts happen at breakneck speeds, Stories’ content is meant to complement versus compete. This slow-and-steady approach may be winning the race, too. Averaging between 2,000 to 3,000 words each, it’s not uncommon for Stories’ stories to rack up over 3,000 shares. One post was even shared over 16,000 times! When it comes to high-quality content marketing, the common denominator is people, not product. Well, sometimes product. But that’s almost always second to people. It’s not every piece of branded content that begins with the detailed death of a young skier. But this gripping Powder magazine piece pulls readers in with an avalanche, and then explores how the lives of Olivia Buchanan and others could’ve been saved from the perils of backcountry skiing. The well-written, well-designed story is literally the Snowfall of snowfall (and was rightly nominated for national magazine awards). The smart, but subtle brand connection: Black Diamond manufactures avalanche airbags that help keep people from being buried in the snow. As you’ve probably heard by now, Sports Illustrated put a plus-size woman on the cover of this month’s swimsuit issue. But Target Style’s collaboration with The Every Girl — a swimsuit feature that led off with a full-figured model — beat them to the punch. Even with over 100-million plus-size women in the U.S., it’s rare for fashion stories to focus on the challenges of finding a suit over a certain size. Instead of fat shaming, The Every Girl’s editorial team encouraged L.A. blogger Rachel Richardson to help women like her realize “it’s not about covering up, it’s about uncovering what’s best.” This message resonated with its audience so much, the article was pinned over 4,000 times on Pinterest. Using influencers in content marketing is nothing new, but tugging on the heartstrings is. The USPS’ campaign — produced in conjunction with sports culture site The Post Game — took influencer marketing in an emotional direction in its first season by getting professional athletes to send a gift to someone in their life who went above-and-beyond. Season two is the reverse, where special someones send a gift to pro players who are on the road. While I prefer the stories in the first season more, the Make-A-Wish connection in Harrison Barnes’ story makes for a pretty compelling watch. To get people thinking about retirement, The Principal Financial Group didn’t ask people to picture their retirement — the brand did that for them. Over 5,400 people used the hashtag #SeeYourRetirement to share their goals and about a third were brought to life with the help of The Principal’s team of on-call artists. While most people-centric campaigns put the focus on someone else, this campaign found a way to incorporate those who interacted with the brand. The result: a higher level of engagement at an overall lower cost when compared to The Principal’s more traditional marketing campaigns. 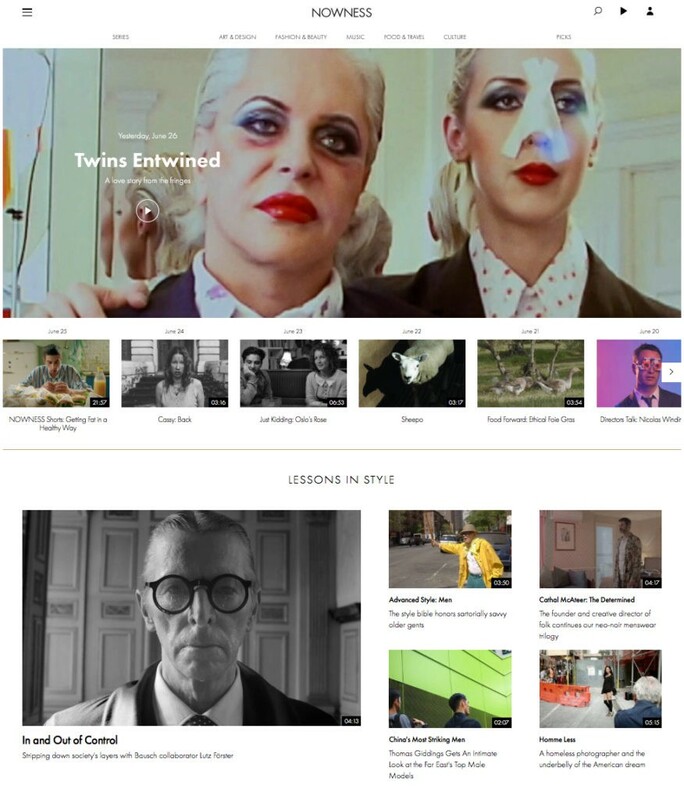 So what makes branded content campaigns built around people so winning? They give us something to relate to. What backcountry skier wouldn’t say “that could’ve been me” when reading about Olivia Buchanan? What Mom wouldn’t tear up when listening to Michelle Vitiritto talk about her son’s cancer? While these stories may not speak to you, they certainly speak to somebody. My recommendation: if you want your content to get clicked, make sure that you have a story that clicks — one that people can see themselves in. While it’s not always the best idea to build your audience on someone else’s platform, there’s something to be said for being where people already are — especially if you’re looking to test an idea before heavily investing in it. With an active monthly user base that hovers between 5 and 7.5 million people, Medium can be an excellent proving ground. Partly because of the blogging platform’s baked-in analytics, which show how many people actually read the content vs. just click into it. Given the coffee chain’s marketing savvy, it’s no surprise they were one of the earliest brands to embrace Medium in a meaningful way. Instead of just droning on about their product, The Starbucks Collection was created to tell the stories of what went into their coffee — and the good that came out of it. If you click through their year’s worth of posts, you’ll see profiles on farmers; essays on sustainability; updates on charitable works abroad; and messages on advocacy at home. Even when they did publish something product-related, it was compelling — a photojournalism piece on their new Reserve roastery or a visual-heavy post showing the creative process behind package design. It’s likely no accident that around the time Starbucks began to wrap up their experimentation with Medium, they launched something new on their own site: a blog called 1912 Pike. When you compare the Collection to Pike, you can easily see how one informed the other. With the exception of Recipes and How To, the majority of the content would’ve been a natural fit for The Starbucks Collection. Which speaks to another advantage of Medium: being able to stand up an attractive online experience without weeks or months of coding. By using Medium as their sandbox, they were able to determine that bringing the content home was worth the technical debt of creating something onsite (and from scratch). Soon, however, Medium will be minimizing the investment to evaluate content even more. Instead of hiring a team of full-time writers and editors to plan and produce content, you can just wait a few months for Medium to launch its program connecting brands with the platform’s best content creators. Tumblr has already done something similar with its Creatrs Network, and Universal Studios and Converse were among the first to utilizethe service. 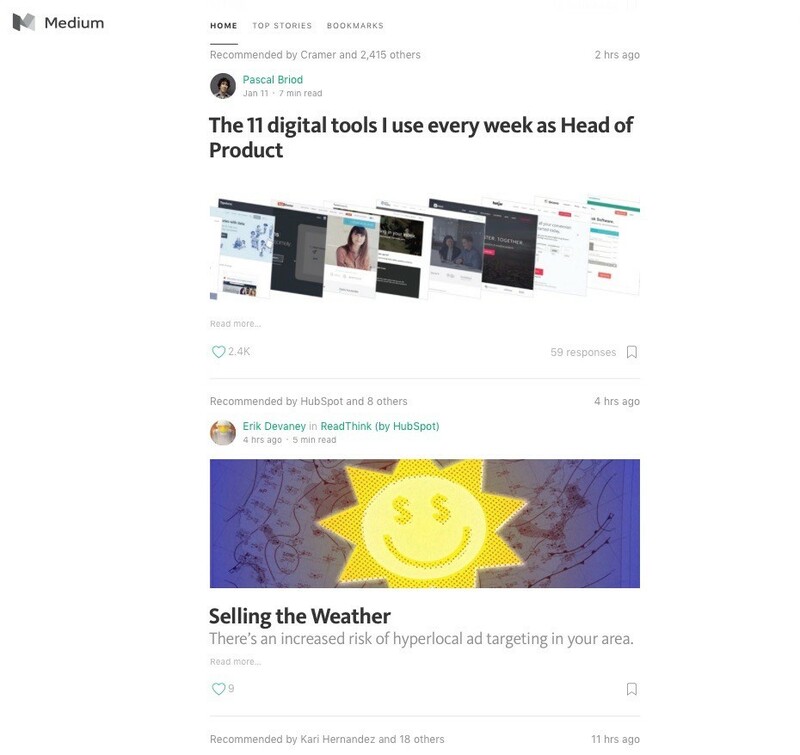 With its easy-to-use design templates and ability to create web destinations without developer support, Medium was already a great test case. And with access to its community, it’ll be an even better one. That’s why I truly like about the platform — it offers brands the opportunity to explore big ideas without requiring a big budget.